Following last year’s trip to Silicon Valley, this year’s cohort of students in the IRP/AMP program traveled to Washington, DC. At Carnegie Mellon University, the study of politics through the discipline of political science with support from other social science disciplines is centered in the Institute for Politics and Strategy (IPS). The institute carries on a respected tradition of interdisciplinary political science at Carnegie Mellon as it also builds upon the university’s rich heritage of applying basic science to issues of public policy. The flagship initiative of IPS is the undergraduate major in International Relations and Politics. Achieving the core objective of this major – thinking systematically about politics – requires analytical and quantitative training in political science and an understanding of culture, history, and language. Courses and research opportunities across this diverse intellectual spectrum provide the foundation for IPS studies and are at the heart of the undergraduate major. During the past sixty years, CMU faculty members have been innovators in what is now known as formal theory and public choice. Indeed, some of them were involved in founding scholarly organizations and spearheading early conferences in these areas. Political science teaching and research took place in numerous CMU colleges but by the early 2000s, most teaching and research in political science occurred in the Department of Social and Decision Sciences (SDS). Also home to research and teaching in behavioral economics, complex social systems, decision science, and strategy, entrepreneurship, and technological change, SDS supported a rigorous undergraduate and doctoral program in political science focused on US politics, quantitative methods, formal theory, game theory, international relations, and social choice. The additional major in international relations, which stood alongside the political science major, was introduced in the 1999-2000 academic year. The university’s first full-scale undergraduate teaching program in international relations, it was a joint initiative of the Department of History, the Department of Modern Languages, and the Department of Social and Decision Sciences. As student enrollment flourished and the opportunity arose to develop the major’s social science component, this additional major became a stand-alone course of study and was renamed International Relations and Politics (IRP) and moved to the Department of Social and Decision Sciences. Subsequently, IRP was merged with the department’s political science major. The name of the major signifies that those studying IRP learn about international relations and domestic politics through the discipline of political science. The major in International Relations and Politics preserves CMU’s tradition in political science by being decidedly analytical and quantitative. It expands that tradition, which had been organized around the study of political economy, by focusing primarily on international security studies and political institutions. The International Relations and Politics major analyzes the role of politics at the national, regional, international, and transnational levels; examines political and institutional arrangements within and among these levels; and investigates the grand strategy of nation-states. Statesmen, scholars, and policy makers often define grand strategy as the combination of diplomatic, economic, military, and political factors used by leaders to defend their respective nation-states. The IRP major investigates the way in which leaders and citizens construct grand strategy and national security policy more generally. Global terrorism, cyber security, and political leadership are some of the substantive concerns reflected in IRP courses and research activities. Dynamics within states may be just as causal as external dynamics to international outcomes. The spread of democracy across Eastern Europe and Latin America as the Cold War came to an end has been met with highly unanticipated reversals, and attempts to increase the number of durable democracies continues to be a challenge for the international system. An understanding of the various forms of domestic political and societal arrangements and the policy outcomes they produce is relevant for the scientific study of politics. These domestic processes are fully investigated in IRP. For those who are primarily interested in understanding domestic politics, the major offers courses and research opportunities in judicial, legislative, and presidential behavior. In addition, IRP has course offerings and research opportunities in most of the subfields of political science (American Politics, Comparative Politics, Formal Methods, and International Relations). To sharpen students’ ability to undertake scientific analysis in IRP’s historical, substantive, and theoretical courses, the major has prerequisites in analytical methods, mathematics, and statistics. The major emphasizes the use of the analytic tools of game theory, economic and statistical analysis, qualitative analysis, rational choice theory, and theories of behavioral decision making as they apply to alliances, coalitions, institutions, and political strategy. As language and culture are also central to understanding political arrangements and behavior, the study of a modern language is integrated into the curriculum. IPS provides numerous research opportunities for students to further develop their quantitative and qualitative research skills. These opportunities include independent studies with IPS faculty and work in the Research Lab of the Center for International Relations and Politics, a university-wide center for the interdisciplinary study of politics. In addition to its emphasis on teaching and research in political science, IPS supports several applied social science initiatives that use basic science as the foundation for understanding, explaining, anticipating, and solving public policy problems. In the applied arena, IPS administers the Carnegie Mellon University Washington Semester Program. Undergraduates from any course of study who would value firsthand policy experience are invited to apply to Carnegie Mellon University's Washington Semester Program. In this semester-long program, students live, work, and study in Washington, DC, coming into direct contact with political, business, and community leaders and learning about the most pressing policy issues of the day. Students earn 48 units for the Washington Semester Program, interning three days per week in any sector or field of interest within Washington, DC, while taking classes two days per week and in the evenings. The Institute for Politics and Strategy sponsors events and a policy forum in Washington for students participating in the program to further enrich their experience and enhance their understanding of how Washington functions as a hub of international and public policy decision making. The minor in Politics and Public Policy is available to students who participate in the Carnegie Mellon University Washington Semester Program (CMU/WSP). Requirements for the minor are fulfilled by successfully completing CMU/WSP and taking one core course in the major in International Relations and Politics. The minor helps prepare students for graduate school in public policy or political science and also provides a solid intellectual foundation for those who seek jobs in the policy arena upon graduation. For the generation of students we are now teaching, war has been a constant in their lifetime. Accordingly, the primary focus of the International Relations and Politics Accelerated Master’s Program (IRP/AMP) is international security. In addition to coursework, IRP/AMP students are required to complete a summer internship in a related field between the senior year and fifth year. The internship will allow students to synthesize learning objectives of the program with practical and hands-on experiential learning opportunities. In the fall of the fifth year, students enroll in a graduate research and internship seminar that will allow for in-depth reflection on the summer internship experience. Throughout the seminar, students report and reflect on their internship experiences, address pressing current issues from the perspective of their internship organization, and apply knowledge gained from the internship experience into a strategy for research in the IRP Graduate Thesis in the spring of the fifth year. By the end of the research and internship seminar, students submit a fully developed thesis proposal. The Master of Information Technology Strategy (MITS) is another applied initiative that IPS supports. MITS is a master’s-degree program that provides graduate students with core competencies in the interdisciplinary study of cyber security. The College of Engineering, Dietrich College of Humanities and Social Sciences, and the School of Computer Science jointly participate in MITS. The Institute for Politics and Strategy is the Dietrich College home for MITS. The Institute for Strategic Analysis (ISA) is another applied initiative under the IPS banner. Founded in 2013, ISA facilitates and supports CMU faculty members interested in bringing their scientific research to bear upon problems of national security such as terrorism, cyber security, war avoidance, intelligence, and the intersection of energy and security. ISA facilitates strategic engagements between CMU faculty and leaders in the defense and intelligence community as they seek mutually beneficial ways to inform national security policy through basic research. As its scholars seek to advance the scientific study of international security and political institutions, IPS is as much a research entity as it is a teaching and training unit. Leading IPS projects include: conducting a major interdisciplinary, data-driven study of how and when US grand strategy shifts; discerning when Middle East-driven terrorism became a critical US security concern; assembling a major database of the characteristics of all wars in which the US has been a combatant; examining how regime type (democracy and autocracy) affects economic, political, and military dynamics; and investigating the ideological and political dimension of US presidential races. IPS scholars also conduct research on issues related to civil conflicts, terrorism, cyber security, the political-economy dynamics of East Asia, the role of government contractors in war; and the political and military crises in Ukraine and Russia. Research by IPS scholars and their students is published in leading political science journals, major university presses, national newspapers, and highly regarded online outlets. In addition, IPS scholars are frequently invited to discuss contemporary politics on television and radio. The Center for International Relations and Politics (CIRP) holds a special place in the IPS enterprise. Developed alongside the IRP major many years ago, it has programmatic and research arms. CIRP’s unique convening authority at Carnegie Mellon University has allowed it to bring national and international thought leaders to the Pittsburgh and Washington, DC, campuses to give public lectures and engage students and faculty in seminars. CIRP guests have included the US National Security Advisor (2004), two former Directors of the Central Intelligence Agency (2006, 2016), three Chiefs of Naval Operations (2009, 2013, 2016), the Director of the Central Intelligence Agency (2010), a former Secretary of Homeland Security (2012), the President of the World Bank (2012), the Commander of US Central Command (2014), a former Supreme Court Justice (2014), the Commander of US Cyber Command (2015), a former US Senator from Maine (2015), the Deputy Commanding General of Army Futures Command (2016), the Vice Chief of Staff of the Army (2016), a former Commander of US Pacific Command (2016), the Commandant of US Army War College (2017), the former president of Costa Rica (2017), and a former Secretary of the Air Force (2018). CIRP also regularly brings to campus leading historians, political scientists, journalists, and other leaders. Carnegie Mellon University's comparative advantage in the social sciences rests in its ability to investigate issues, be they functional or specific to a country or region, through interdisciplinary research that combines fields such as social science and engineering in the same study. Contributing to this tradition, CIRP fosters research, teaching, and policy analysis in diverse regions of the world through its Grand Strategy Initiative and its Regions Initiative. Many of these research activities are overseen by the Research Lab in International Relations and Politics. Furthermore, undergraduates and graduate students work directly with IPS faculty on research projects. The Institute for Politics and Strategy is a growing intellectual community that supports several initiatives that keep IPS constantly engaged with departments and research centers throughout Carnegie Mellon. Visit this site often for updates about opportunities and activities sponsored by IPS or its constituent parts. Dr. Kiron Skinner published an article in the Wall Street Journal discussing how the current administration is reasserting the nation-state’s role in a free and open multilateral system. Dr. Baruch Fischhoff wrote an article published by the Proceedings of the National Academy of Sciences on effectively communicating scientific findings. Dr. Daniel Silverman published a piece for the Washington Post. In the article, he discusses some of his research about "blowback" caused by U.S. drone warfare in countries like Pakistan. Dr. Kiron Skinner was featured in a Washington Examiner article regarding her role as Director of Policy Planning and Senior Policy Adviser in the State Department. Dr. Kiron Skinner was featured in an article on The Daily Signal. She was sworn in as Director of Policy Planning and Senior Policy Adviser at the State Department on Tuesday, September 4, 2018 by Secretary Pompeo. The Institute for Politics and Strategy is now a university-wide initiative at CMU. Dr. Kiron K. Skinner wrote an article on "the pitfalls of list experiments in conflict zones" with Anna Pechenkina, and Andrew Bausch, two former IPS post-docs. The article can be found in the Routledge journal. The donor for Dr. Kiron Skinner's chair, Mr. Tad Taube, has given a major gift to Stanford Medical School. 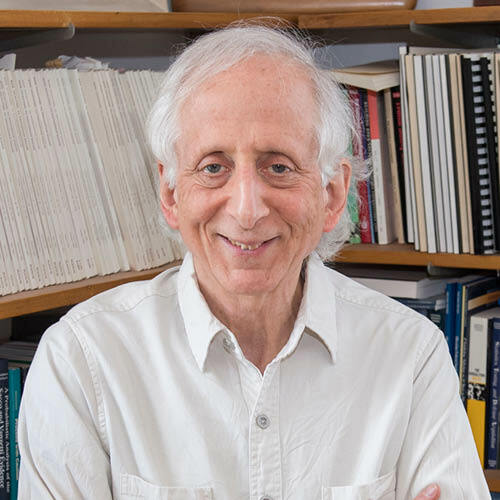 Dr. Baruch Fischhoff has been awarded the William H. and Frances S. Ryan Award for Meritorious Teaching! Dr. Daniel Silverman has been awarded a grant from Time-Sharing Experiments for the Social Sciences (TESS), an NSF-funded initative which conducts high-quality nationally representative survey experiments in the U.S. for free for selected proposals. His project is called “Can Factual Misperceptions be Corrected? An Experiment on American Public Fears of Terrorism.” The project looks at the American public’s inflated fear of terrorism relative to other types of risks we face, and examines whether this fear can be mitigated by presenting people with accurate information about the threat. With trillions of dollars spent on the "War on Terror" since 9/11, this question is not just theoretically but practically important. 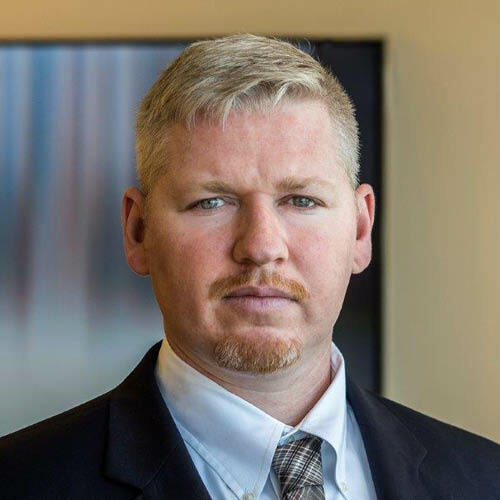 IPS Assistant Teaching Professor Colin Clarke, recently co-authored an article in Foreign Policy on "the many ways that the [Iranian] regime can retaliate," after the Trump administration designated the IRGC as a foreign terrorist organization. 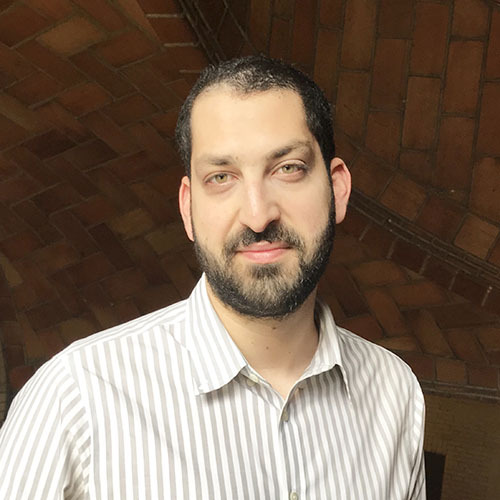 IPS Postdoctoral Fellow, Daniel Silverman, published an article in the Journal of Conflict Resolution (JCR) on "What Shapes Civilian Beliefs about Violent Events? Experimental Evidence from Pakistan."